Tacitas, AD 275-276. 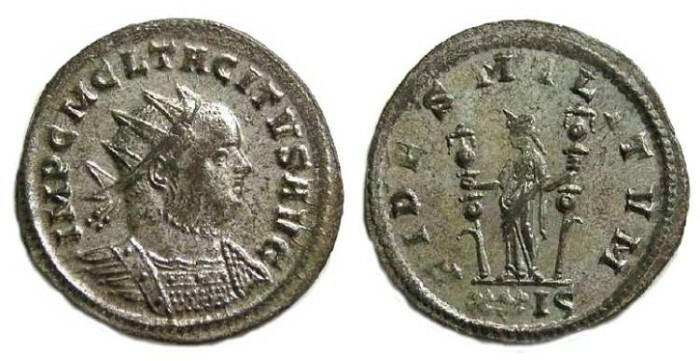 Bronze antoninianus. Size : 22.3 x 22.8 mm Weight : 3.31 grams. Grade : XF with nice silvering. Minor weakness on the reverse. Obverse : Radiate bust of Tacitas right, with IMP C M CL TACITAS AVG around. Reverse : Fides standing left, holding two military standards, with FIDES MILITVM around, and XXIS below.